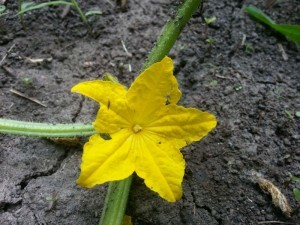 This Spring when we were deciding what to plant in our garden my youngest requested cucumbers. This seemed like an odd request because we rarely have them in our kitchen and because she’s not a fan of pickles. She had two reasons for wanting to grow cucumbers. First, she had some at school in a salad and liked them. The taste reminded her of melon and she’s a fan of all things fruit. Second, she wanted to make our own “fancy” water. When pressed for an explanation she reminded me of the cucumber water we had one time at a hotel. They had a big glass jar with a spigot. Inside was water and cucumber slices. Her reasons for wanting to grow cucumbers seemed legit (and healthy) so we planted some our garden. They’re growing well and starting to flower. 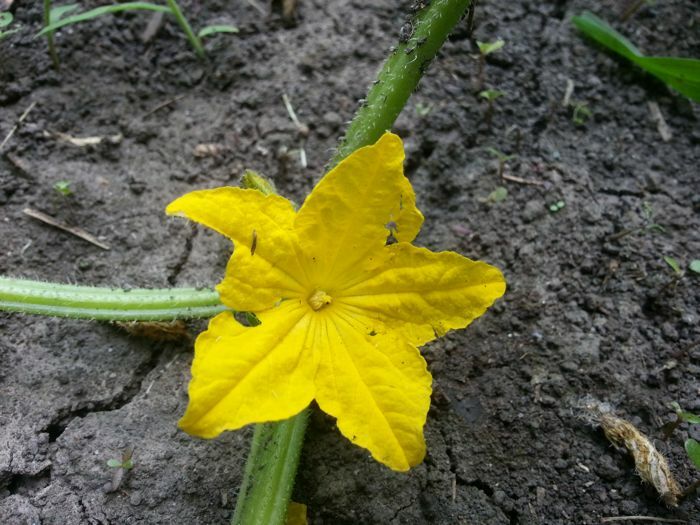 It won’t be long before we’ll have our own cucumbers to add to salads and water. 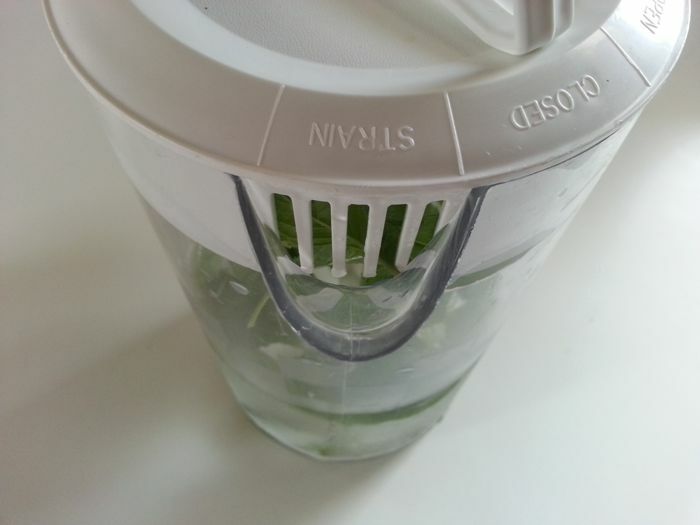 Cucumbers aren’t the only thing you can add to plain water to give it a hint of flavor. You can add any number of combination of fruits and fresh herbs. My Mother-in-law has been making mint water and gave us a bag of mint to try it at our house. My oldest washed the mint and tossed a few sprigs in our mixing pitcher and filled it with water. I’m sure it would have been good after sitting for an hour or so but we chose to leave it in the refrigerator overnight for maximum flavor. It turned out great! Very crisp and refreshing. It’s got my kids and I talking about different variations we could try. We’ve got a raspberry patch so that was mentioned. We also might try adding sliced citrus fruits or melon chunks. 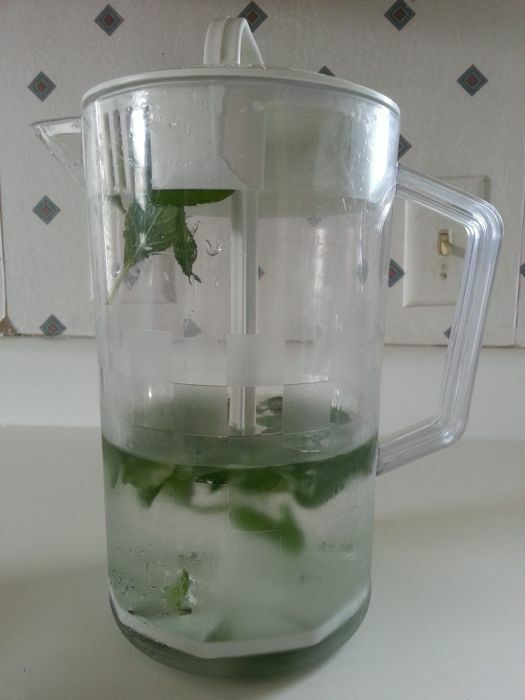 Making flavored water like this is a great way to encourage our family to be healthier by drinking more water. – If won’t be sweet or overly flavorful. Expect just a hint of flavor. – Using a mixing pitcher with a strainer in the spout will keep any chunks out of your glass when pouring. 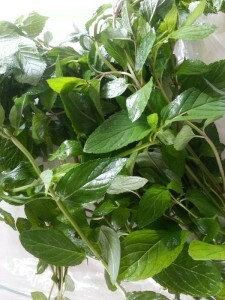 – You could use a wooden spoon to muddle your fruit and herbs a bit. – Adding some ice cubes to the pitcher will also help release flavors as they bump against the fruits and herbs when stirring. If we keep enjoying flavored water like this at home I might want to pick up and individual water bottle infuser to take to work. 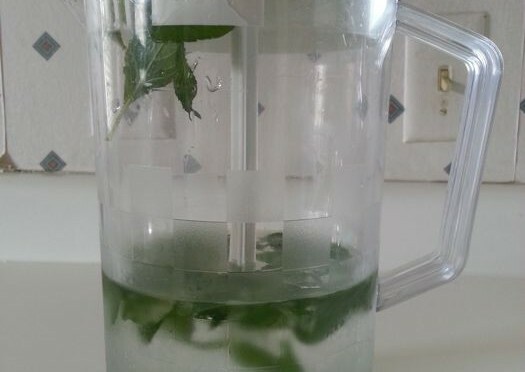 Have you ever made your own homemade “fancy” water? What are your favorite flavor combination. I’m with you. Anything to encourage drinking more water.